Lawmakers could soon decide if beer brewers in Ohio can add an extra bite to their product. Ohio Republican Sen. Jimmy Stewart proposed a change in the new state budget that would allow beer produced in Ohio to have a higher alcohol content, 10TV’s Josh Poland reported on Wednesday. He said that letting beer contain up to 18 percent alcohol would let microbreweries and beer connoisseurs have the same opportunities that are currently found in other states. “By and large, most of our surrounding states have no limit, or (they) are considerably higher than ours,” Stewart said. 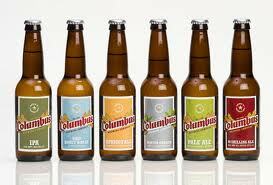 Some, like Columbus Brewing Co. brewmaster Eric Bean, support the idea.